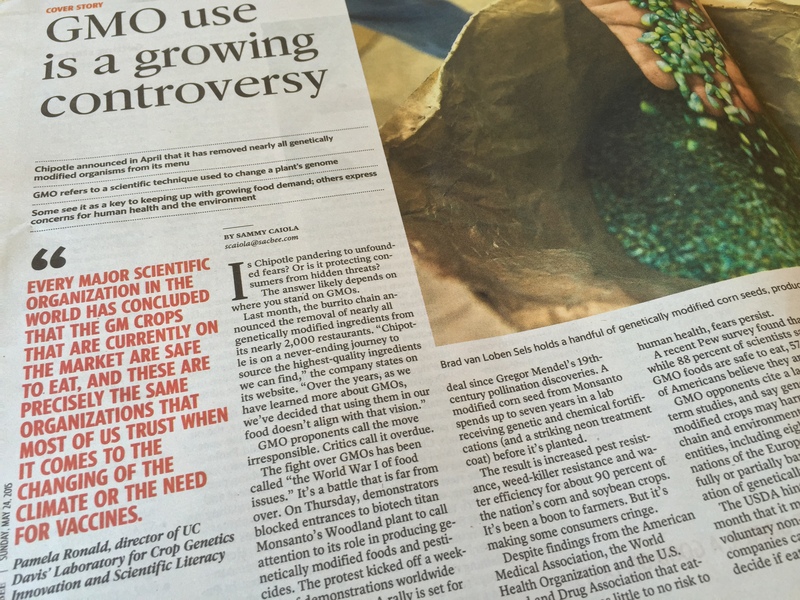 The local paper, the Sacramento Bee (SacBee) just ran a piece on Monday on the GMO controversy. Few places are more in the thick of it than right here in Davis, CA and the Sacramento region more generally. Some of the earliest GMO plants were created right here in Davis including the Flavr Savr tomato. Monsanto also has a big presence here. Over the years, anti-GMO protestors regularly protest the company in this area. Monsanto moved its local presence from Davis to nearby Woodland, CA, but the protests continue. There’s a notable tension in this area because on the one hand people here value organic foods and some do have concerns on GMOs, but on the other hand it is a university town full of scientists and more specifically probably thousands of plant scientists. Note that I’m not a plant scientist myself. How do you feel about eating GMO foods? What did you think of the SacBee piece? GMO: Why 3 Such Difficult Little Letters? If I see two apples in the store, appearances and prices being equal, I’ll choose the organic every time. I’d even give the organic room for a little blemish or two. But adding price to the equation, I’ll start leaning to the better deal. However, the article raises something I had not given much thought. That is, I’m less concerned with the GMO food itself than I am with the serving of Roundup/herbicide that may come along with it. Thanks for the comment, Richard. You raise some good points.